Kelvin Hui, the web traffic expert based in Hong Kong, thinks that I am one of the SEO experts in Singapore. Honestly, I am flattered. Thank you for the mention, Kelvin. He mentioned 4 names in his blog post dated June 26, 2007. My friend Larry Lim is at the top of the list. I consider Kelvin Hui the SEO expert in Asia but he calls himself a web publisher and sometime an SEO player. 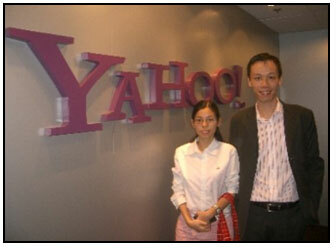 I heard that he taught Yahoo people how to optimize website. And, if you had been around long enough, you would know that he could drive a million visitors to a website in a matter of days. In the early days of SEO, he is one of the top brain in using black-hat SEO. Does he still uses black-hat? I don’t know. Anyway, even if he does, you and I won’t be able find out – he will have to cover his trail so well that even Google could not detect. Haha… it is good to know that.